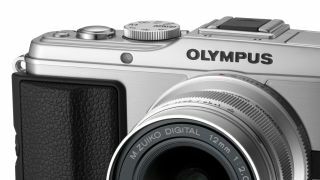 Are new Olympus PEN cameras coming in September? Is the current line-up of Olympus PEN cameras about to be refreshed? Rumours are circulating that a new generation of PEN cameras will be introduced at Photokina. Suggestions include the PEN line-up being "simplified" to make the differences between each model in the range more obvious. Currently, there are three categories of camera - the E-PM1 (Mini), E-PL3 (Lite) and E-P3. According to rumours, Olympus was disappointed by the sales of the Mini, but surprised by the larger than anticipated Lite/E-PL3 sales. The latest iteration of PEN cameras were only introduced in July last year, with all three using the same sensor. It was only the E-P3, at the top-end of the range which included a touch-screen full array of art filters, and integrated flash. A tilting screen was only available on the E-PL3. The PEN mini arguably directly competes with the Panasonic GF3 or GF5, the company's entry level offering. However, both of these models include some advanced features, including a touchscreen, not offered by the E-PM1. Although Olympus UK was unable to give any official comment on any new launches, we have a strong feeling that a new set of cameras could be on the cards. It seems likely that some of the features from the new advanced model, the Olympus OM-D, such as the 5-axis image stabilisation system and perhaps even the 16 million pixel sensor would be incorporated. Stay tuned for more as it happens.